Travelling can be a beautiful experience. But it also brings with it the risk of things going wrong despite careful planning. Although you may not be able to control external factors that might cause disruptions in your travel plans, you can definitely choose to opt for travel insurance from Bajaj Allianz to help you face any financial setbacks that might occur. This way you can travel overseas with your loved ones keeping all your worries aside. Why Buy Travel Insurance from Bajaj Allianz? Travelling abroad to a foreign land alone entails a lot of risk. 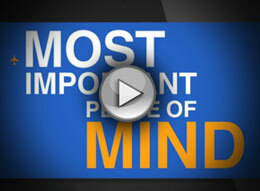 Medical emergencies, losses, and delays can be expensive and cause great inconvenience to you. Are you covered? A hundred things can go wrong when you travel. Something that's an inconvenience at home can ruin your holiday when you're abroad. Is your family covered? 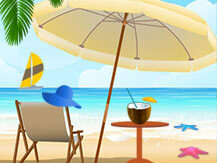 Taking a holiday abroad in your golden years is a dream for many. But little inconveniences and medical problems can sully your enjoyment unless you've got someone to take care of them for you. 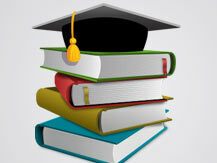 When you go to study abroad, you want a solid support system to care of any troubles for you. Are you covered? Corporate travel insurance plan is a comprehensive package which provides complete medical and health cover to the international business traveller. The Travel Asia Policy is a comprehensive package which provides complete medical and health cover to the international traveller. Bharat Bhraman Policy, is a domestic travel insurance policy for all individuals travelling within India. Innovative packages to match individual needs. Student and senior citizen specific insurance covers. Covers expenses of hospitalization, loss of baggage, trip cancellation, trip curtailment and burglary of your home*. 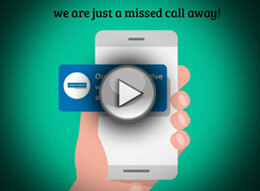 *Travel Ezee is a service which enables us to notify customers on flight delay and payout eligibility. All the customer has to do is give us his account details and the money gets transferred to his account in a short time. This concept is unique as it is not the customer that is initiating the claim process; it is us, the insurance company that keeps a track of claim events and initiates the payout. The platform that we have created can be scaled up for more features in the future. In case of you need any mediclaim assistance in abroad all you need to do is call us at the given toll free nos. Click here to view toll free nos. The prestigious Indian Insurance Summit & Awards 2019 honoured Mr Tapan Singhel, MD & CEO, Bajaj Allianz General Insurance with the Personality of the Year award. The annual event celebrates innovative and strategic vision of leaders across the insurance sector. The award was received by Mr Tapan Singhel at a glittering award ceremony in Mumbai. The India Insurance Summit & Awards 2019 recognised Bajaj Allianz General Insurance as the Marketer of the Year for its Claims on Wheels initiative launched jointly with Operations team during the devastating Kerala floods. The award was received by Ms Monica Mayur, Head, Brand Communications at glittering award ceremony held Mumbai. 1. What is travel insurance? Travel insurance is a form of insurance which covers the medical expenses, trip cancellation, lost luggage, flight accident and other losses incurred while travelling. 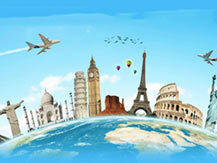 Travel insurance can be availed for both international and domestic travel. Travel insurance covers various aspects such as trip cancellation, trip interruption, trip delay, lost or delayed baggage, medical coverage, medical evacuation, loss of passport, personal liability, emergency cash advance etc. 3. 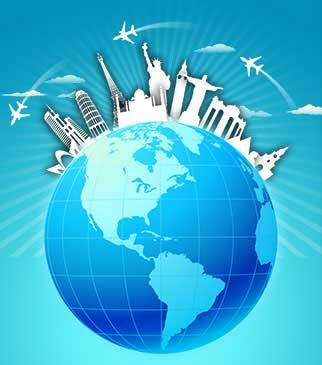 Why travel insurance is important? Travel insurance saves you a lot of your out of pocket expenses that you would incur in case of medical emergencies, flight delays, loss of baggage, trip cancellation etc. during your travels. It helps you save money in case of a mishap. Therefore, it is important to be insured every time you travel, especially when you are travelling overseas. 4. How to choose the best travel insurance? Check the policy to ensure that covers you during the entire duration of your travel and also covers the destination you're travelling to. Make sure that the medical coverage included in the policy is extensive. Make sure that it covers eventualities like missed or cancelled flights or loss/delay in baggage. Ensure that the policy covers you and your family members who are travelling with you. Make a note of the exclusions to ensure that all your requirements are covered. Finally, ensure that the sum insured limit of the policy is adequate. You can also avail of relevant add-ons such as home burglary etc. 5. How to extend travel insurance? There can be two scenarios for travel insurance extension i.e. Pre policy expiration & Post policy expiration. The process for both scenarios are as mentioned below. Pre policy expiration: In this case, the customer has to inform team Bajaj Allianz about their travel insurance extension requirement. Post receiving the request, Bajaj Allianz representative will require the customer to fill and submit a Good Health form, post which the underwriters evaluate the request and do the needful. Post policy expiration: In such scenario, customer has to inform team Bajaj Allianz about their policy extension requirement along with the reason of delay in request. Post receiving the request, the underwriters evaluate the same and based on the details submitted, come to a conclusion. 6. What are documentation required under various scenarios for a travel insurance claim? Duly filled overseas travel insurance claim form. Authorization for release of medical information form. 7. What information do I need to complete the online application? Travel Tips for a Stress-Free Holiday! 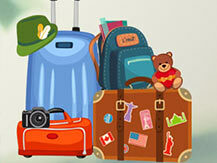 Why Student Travel Insurance is a Necessity?